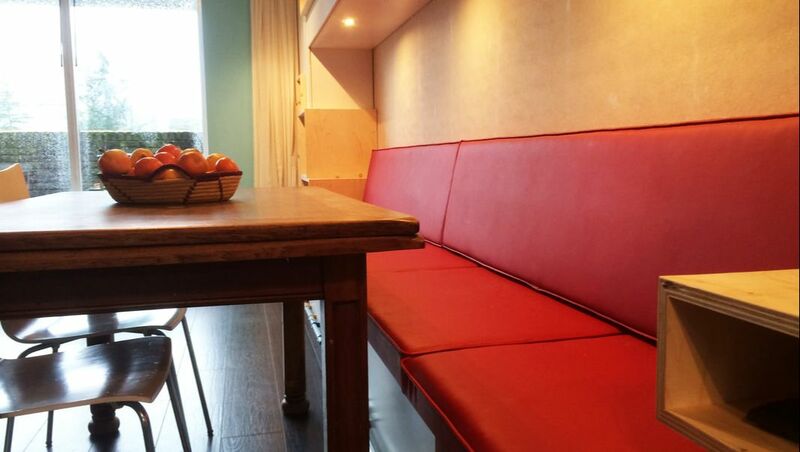 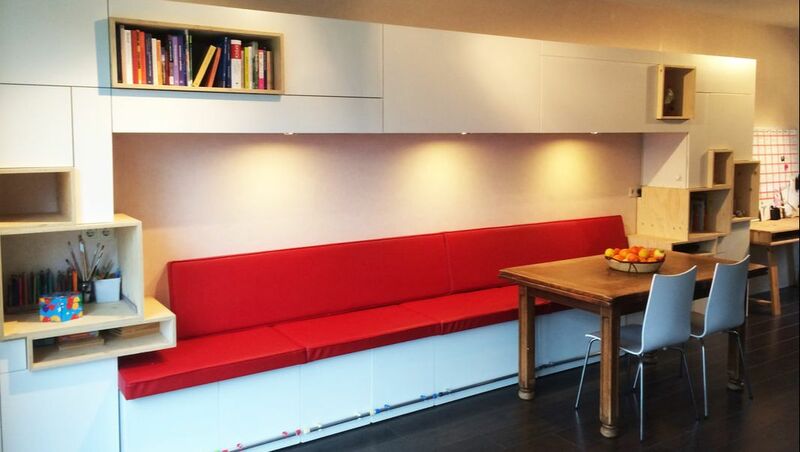 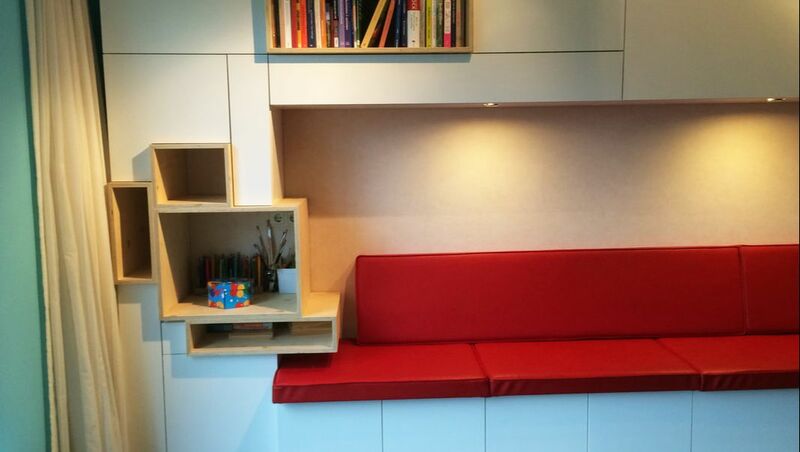 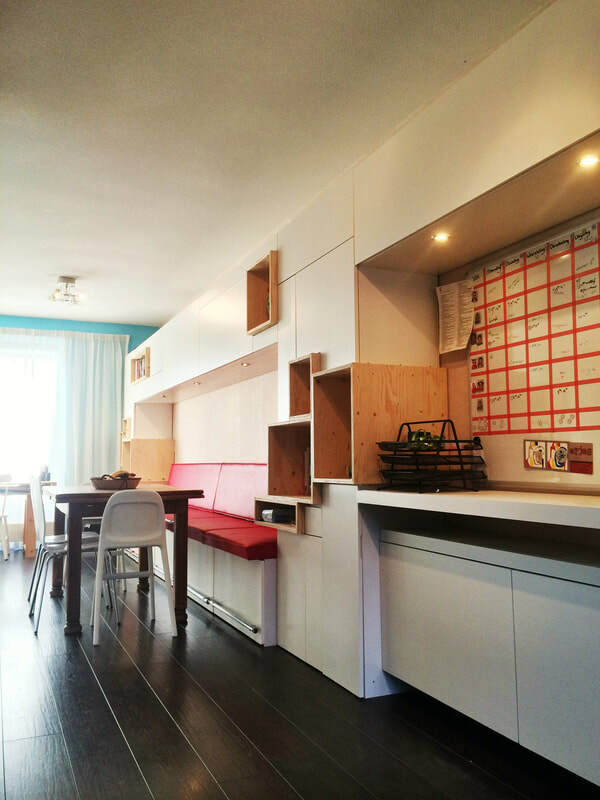 Wall furniture with under the bench area 3 large drawers on wheels and 4 seats on wheels with storage space in the seat. 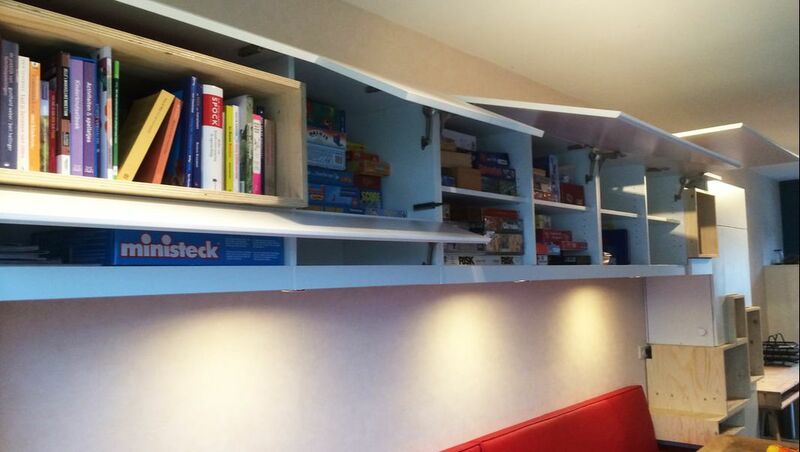 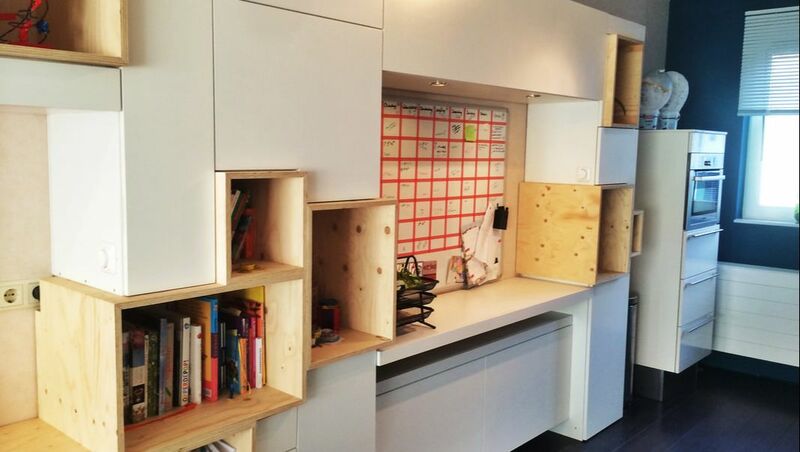 Other storage space consists of open compartments, a large number of valve doors and ordinary doors plus drawers. 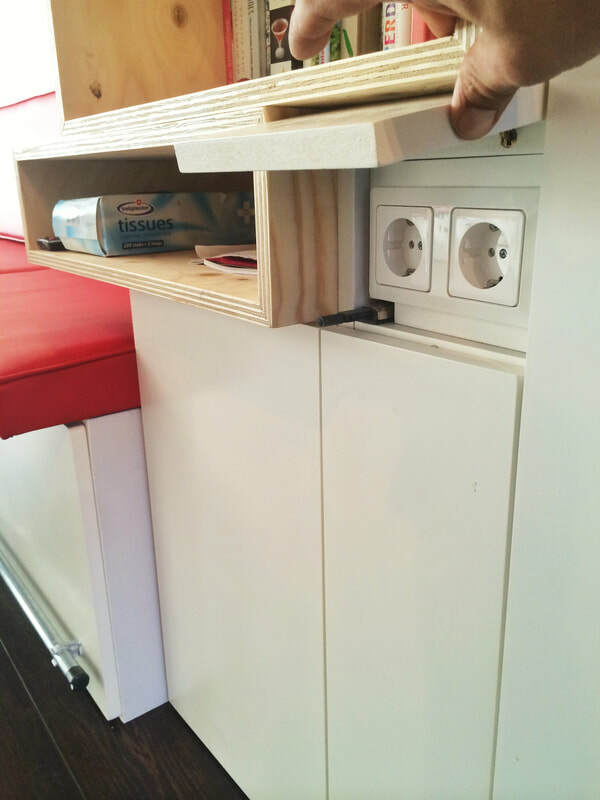 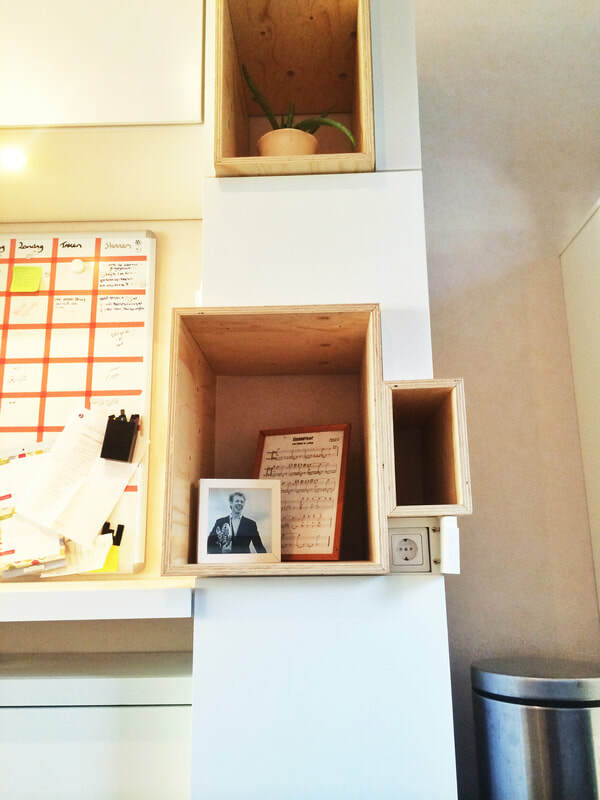 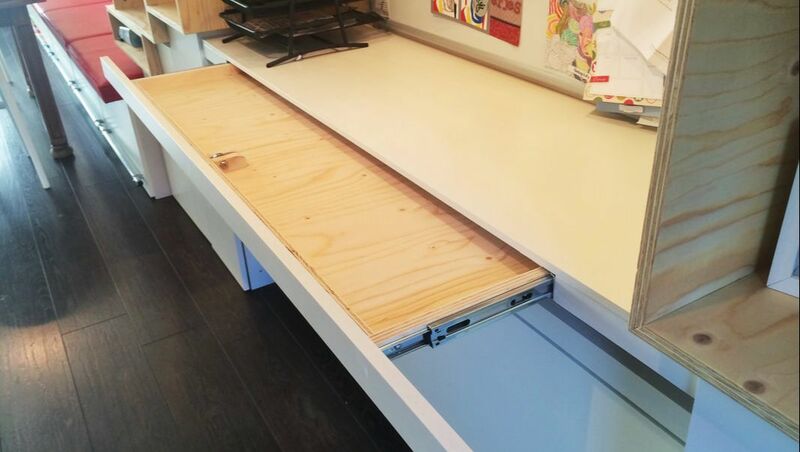 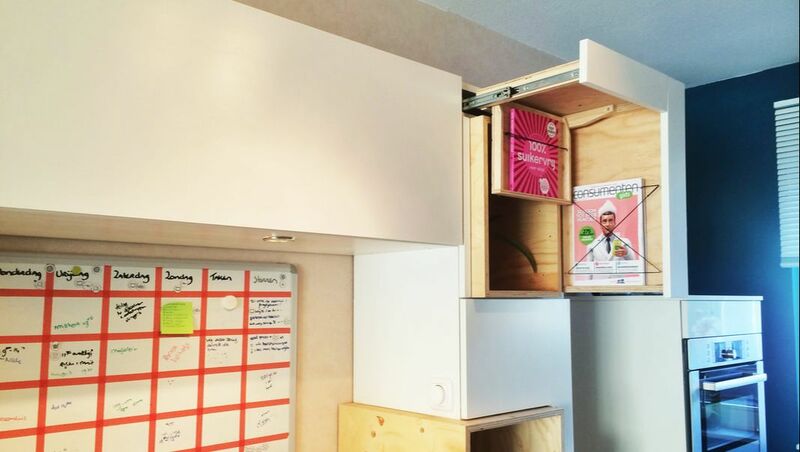 The right part serves as a workplace for both the kitchen and to study.